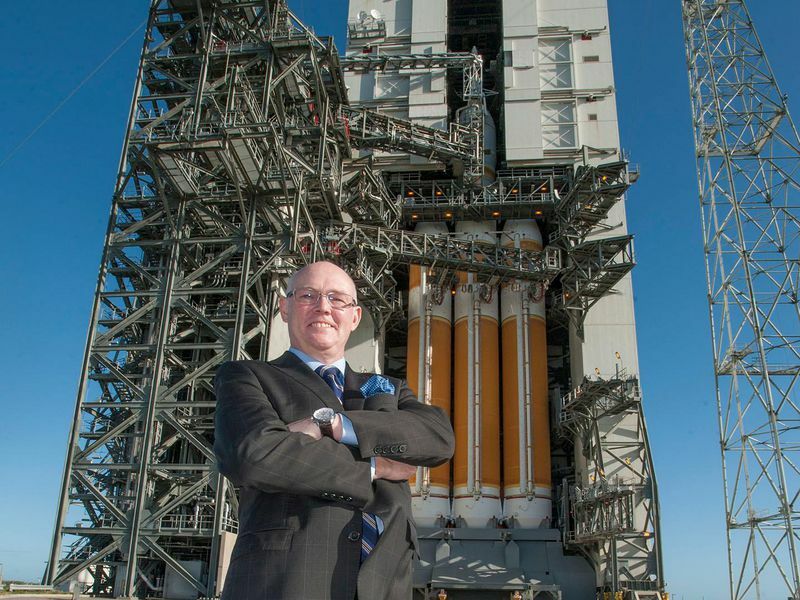 ULA’s boss doesn’t want SpaceX to have all the fun. However he regards his fellow space CEO, Bruno has Musk to thank for his job, in a not-so-direct way. ULA didn’t have to worry about changing the launch business until the annoying SpaceX came along and claimed it could build rockets for a fraction of what Old Space charged. In 2014, Musk sued the U.S. Air Force to institute competitive bidding on its launches, which at that point were all going to ULA’s Delta and Atlas. 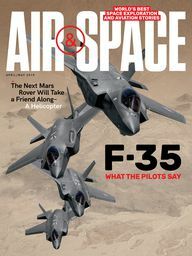 The Air Force partially agreed in 2015, and now launch contracts are split between the two companies. Meanwhile, the military’s market share in space launches is shrinking, as the proportion of commercial and NASA payloads has grown. Bruno himself has forecast that national security launches will shrink from 60 percent of ULA’s revenue in 2016 to 40 percent in 2020. “I would not be developing new technologies if we didn’t have a reason to, and an opportunity to show that it was a good investment,” Bruno observes. Translation: Without SpaceX’s price-cutting, reusable-rocket revolution, ULA could have kept on providing lucrative, “cost-plus” (where the seller is guaranteed a certain markup no matter what the unit cost), highly reliable launches to the U.S. government under the leadership of its first CEO, Michael Gass, or someone like him. 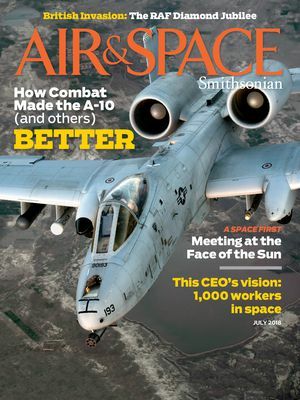 Instead, in August 2014, the overseers at Boeing and Lockheed saw the need to shift paradigm. They drafted Bruno to compete with Musk. The incoming chief executive faced another big headache besides SpaceX. 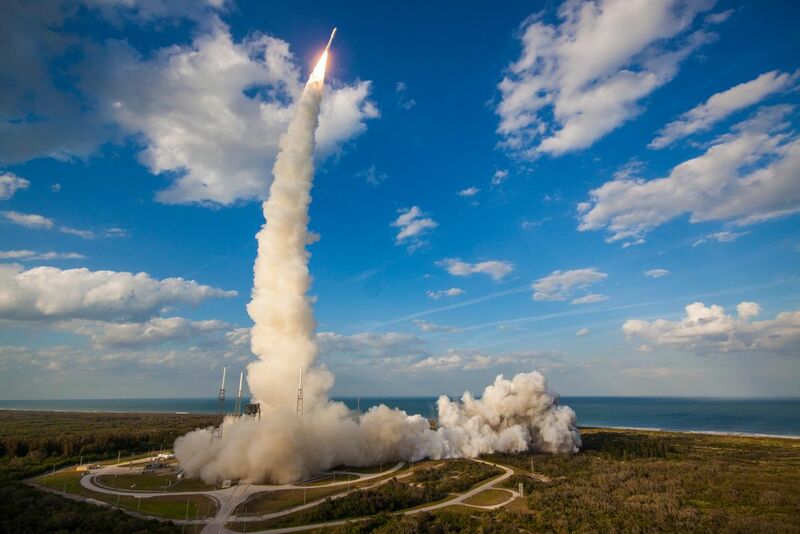 Since ULA’s inception, it had relied on a Russian-built engine, the RD-180, to power its workhorse military rocket, the Atlas V. That partnership had been formed in the early days of post-Soviet goodwill. But by mid-2014, following Russia’s invasions of Ukraine, legislators led by Senator John McCain of Arizona were clamoring to replace the Russian rocket engine. After a few years of wrangling, Congress set a 2022 deadline for phasing out the RD-180. He was good at it. He oversaw the Navy’s Trident II ballistic missile program—150 test launches without a hitch—and the Air Force’s THAAD anti-missile system, which in the Kim Jong Un era has gained trust and even greater significance. He managed Lockheed’s part of the Atomic Weapons Establishment, or AWE, a consortium that produces the United Kingdom’s nuclear warheads. Bruno’s last job at Lockheed was general manager for strategic and missile defense systems. Bald and suit-clad, calm and unhurried in demeanor, he seemed a perfect continuity choice for ULA’s no-failure-tolerated, cost-not-much-object culture. Bruno also had an eye on the future, the one taking shape right in the Lockheed missile division’s hometown, Sunnyvale, California. As executive director of the Silicon Valley Leadership Group, founded in the 1970s by David Packard of Hewlitt-Packard fame, he spent time trawling for new ideas among the tech-forward super-elite. One of the big brains he met in this capacity was a young entrepreneur named Elon Musk, who, around 2000, was approaching Valley big shots to tout a service called PayPal. “He was a very dynamic fellow even then,” Bruno recalls. Nearly two decades later, with SpaceX having helped revitalize public interest in spaceflight, Bruno has conceived a Big Vision of his own. Where Musk maps out cities on Mars, ULA’s new chief dreams of populating cis-lunar space--—between Earth and the moon—with 1,000 people working on profitable enterprises, such as mining water from lunar soil and asteroids. Meanwhile he has embraced 21st century PR tactics, jumping on Twitter to lend a warm, witty voice to the usually staid rocket business. 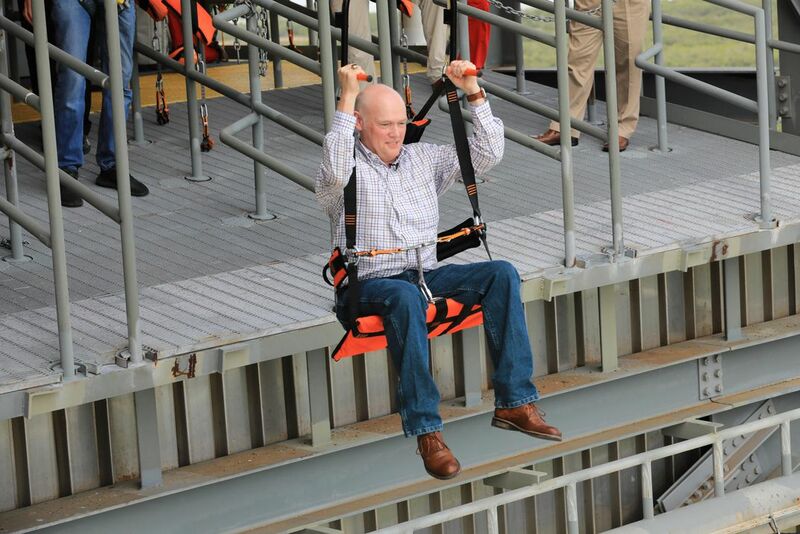 @torybruno tweets almost daily, bantering with interlocutors with handles like The Rogue Astronaut and TitanII. His tweets are laced with “Wow” and “Cool,” and even the occasional emoji. On a more serious front, Bruno has addressed the problem—for ULA and other legacy launch providers—of SpaceX’s disruptive pricing. Musk’s new Falcon Heavy sells for between $90 million and $150 million a launch, far less than the competition costs. After taking a hard look at his company’s pricing in 2014, Bruno audaciously promised to halve the cost of ULA’s launches within three years. Nearly four years later, he says he has brought prices down by 36 percent. 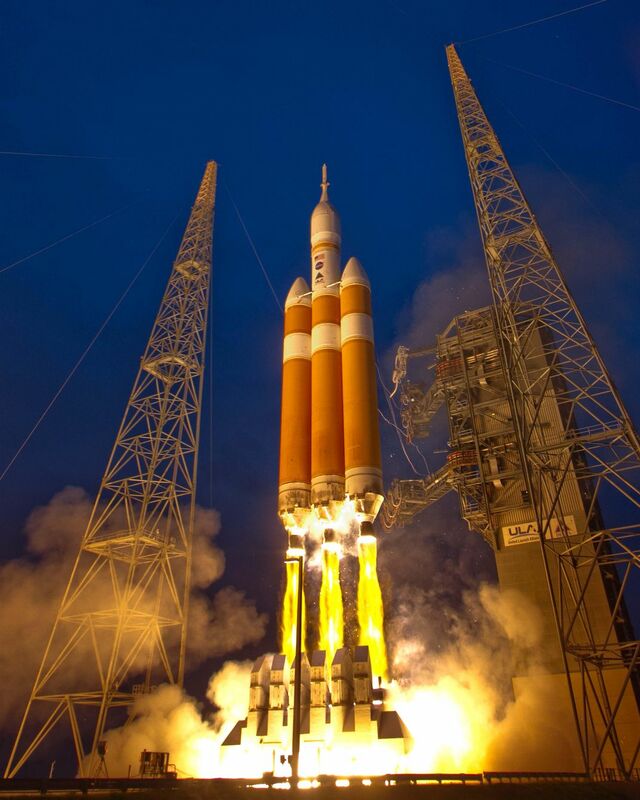 In February, he quoted a price of $350 million for a Delta IV Heavy, currently the largest rocket in ULA’s fleet. ULA also suffered from having too many rocket configurations. To satisfy every whim of its primary customer, the military, it still theoretically offers 41 configurations. But all that customizing is expensive. Recently, ULA has tried to focus on a few core Delta IV and Atlas V variants. After 100 straight successful launches going back to 1997, the Delta II will make its final flight this year, easing into well-deserved retirement. 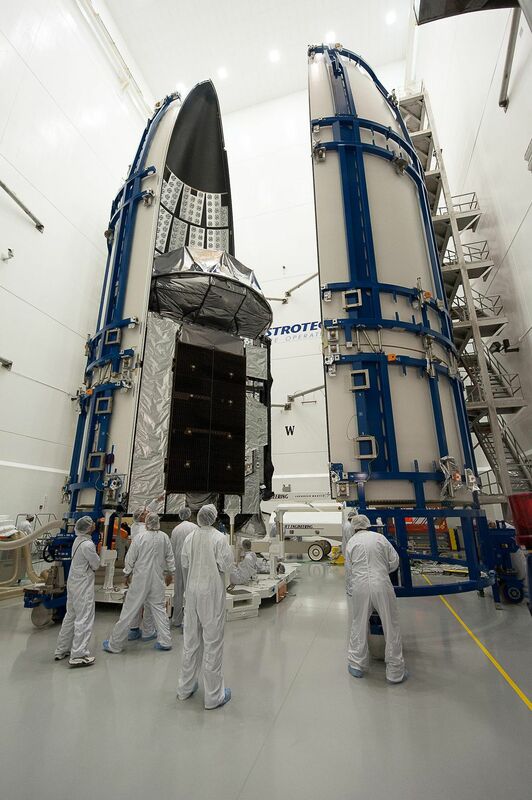 Reducing ULA’s costs has, not surprisingly, meant cutting payroll. Bruno first tried to “right-size,” as he puts it, through voluntary early retirements in a workforce that was already experiencing a “gray tsunami.” But others got pink slips. He declines to give exact numbers, but press reports indicate the company cut 25 percent from a workforce of around 3,400. To win over the skeptics and get the rest of the way to his goal to cut costs by 50 percent, Bruno is depending on a new rocket, dubbed the Vulcan and scheduled for its first flight in 2020. He announced the project himself in April 2015, and recruited an ally from the very short list of contemporary businesspeople whose rock-star cachet matches Elon Musk’s: Jeff Bezos, the world’s richest person. The Amazon founder has his own rocket venture, Blue Origin, which in all likelihood will provide the engine for Vulcan’s first generation. (ULA is also working with Aerojet Rocketdyne, which has been building rocket engines since the 1950s.) ULA has mapped out two iterations of Vulcan. The first will be something of a stopgap replacement for the Atlas V and its politically troubled Russian-built engines. A from-scratch production system geared to “modern manufacturing techniques” will make Vulcan 1.0 cheaper than Atlas, Bruno claims. Things get more interesting around 2024, when the legacy Centaur upper stage will be replaced with something the company calls Advanced Cryogenic Evolved Stage, or ACES. Surprisingly, Bruno doesn’t emphasize reusability as his main rival does. In fact, the ULA chief picked a bit of a quarrel on this subject with SpaceX’s Shotwell last year at a symposium in Colorado. Her company had just re-launched a previously flown Falcon booster, and Shotwell was in a mood to boast, describing the flight as an “historic” feat that “ushers in a new era for all of us.” Bruno, in an interview with the Financial Times, called it “not necessarily a giant game-changing alteration to the cost basis or anything like that.” Ouch. Not that ULA isn’t considering reusable elements for what it’s calling “Vulcan ACES.” The booster ’s engines might parachute back to Earth and be refurbished to fly again, for example. But that’s small potatoes, in Bruno’s view, compared to what the ACES upper stage will contribute. ACES, as envisioned by ULA engineers, will be a much bigger beast than Centaur, carrying three times as much fuel and offering at least four times the thrust. 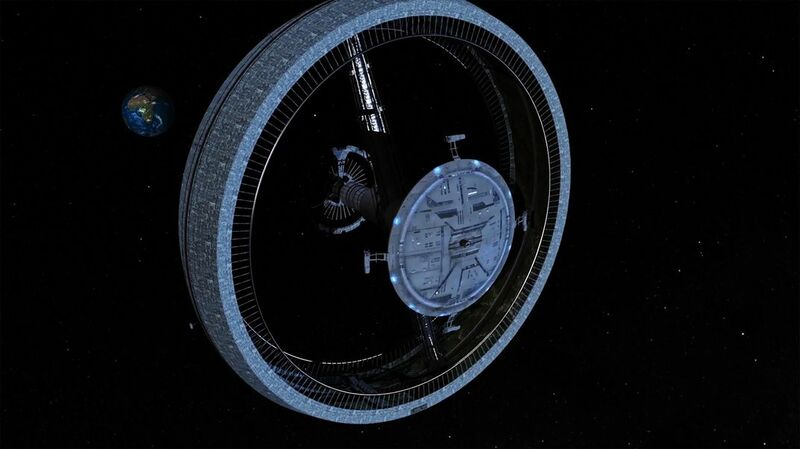 This alone could extend its life as a propulsion module from days to years, Bruno says. But the revolutionary element is an “integrated vehicle fluids” system that enables ACES to run on just liquid oxygen and hydrogen, without the additional helium (for tank pressurization) and hydrazine (for attitude control thrusters) used by the Centaur. “As every schoolchild knows,” Bruno says, oxygen and hydrogen can be readily extracted from water, which exists in abundance in lunar rocks and asteroids. All you have to do is extract it, and ULA’s new ship becomes a “space truck with really long duration.” It could stay aloft for years, with periodic visits to refueling stations strategically placed in the cis-lunar orbits it travels. While SpaceX churns out rockets that can be reused, ULA will make a spacecraft that can keep refueling in space. Simple. “Maybe the great discovery of our time—that hasn’t gotten much attention—is that water is virtually everyplace we look,” Bruno says. “You mine the ice, you apply a little bit of energy with a solar panel, and you have rocket fuel.” All this is doable “very near-term, within a couple of decades,” he claims. Right about here is where the soft-spoken corporation man starts to sound seriously out there. Exploitation of the cis-lunar theater will “fundamentally change life on Earth,” he says, by facilitating a “post-scarcity future for humanity.” Enormous, orbiting solar energy panels built from space materials will provide all-but-free power, leading to vast desalination projects on Earth below, to irrigate arid expanses and “stabilize whole regions of the world that today live in poverty and violence.” Hostile nations will be on the wane amid “a whole new epoch in human history.” Wow. In the meantime, Bruno stays focused on the practicalities of re-tooling ULA for the future. For all his economies, trying to price-match SpaceX looks like a losing strategy. Even publishing a fixed price is hard, because each mission has unique requirements for orbit, payload, and time the customer is willing to wait. Still, mindful of how SpaceX advertises its bargain cost, Bruno did take a leap toward transparency with Rocketbuilder.com, a nifty service that allows a ULA customer to price out a launch the way car buyers can customize a vehicle. The prize to be won in Bruno’s vision—a new epoch in human history—has an appeal that reaches beyond just lovers of space exploration.